There has never been a film franchise, in all of history, more enduring and more prolific than the James Bond 007 series. This popularity has catapulted the careers of numerous stars, spawned wildly successful video games, and brought to the screen some of the most innovative gadgets in all of the world. 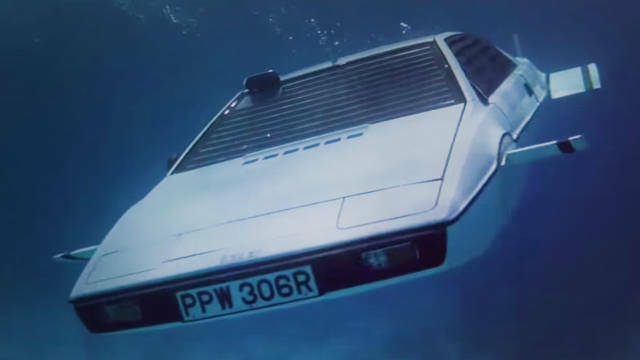 Undoubtedly, one of the most memorable gadgets featured in a classic Bond flick is the modified ’77 Lotus Esprit S1 submarine car that appeared in the classic The Spy Who Loved Me film (1977). Unbeknownst to many Bond fanatics, there was actually more than one ’77 Lotus Esprit used in the film. In fact, in order to create the submarine scenes in the movie, filmmakers used seven different cars, all seven of which have become pieces of film history since the movie came out. These seven cars– which by the way can not be driven– have become so popular that extreme bidding wars have taken place in recent years to own a piece of Bond history. Just last year, Tesla CEO Elon Musk dished out a whopping $970,000 for one of the Lotus Esprits, stating that he had plans on restoring the vehicle to working order. Well, now the vehicle is once again back in the news as one of the original seven vehicles has been placed on eBay by vintage car restoration and resale shop, Hot Rod City with an asking price of $1 million dollars. So, for any of you rich tycoons with a couple of spare bucks in the piggy bank, it’s time to pony up. There’s a piece of film history waiting to be gobbled up. This entry was posted in Culture and tagged 77 Lotus Esprit, american restoration, EBay, Elon Musk, Hot Rod City, james bond, the spy who loved me. Bookmark the permalink.